Interior designer Tracey Rapisardi’s latest design project is a beach cottage in Sarasota, Florida. 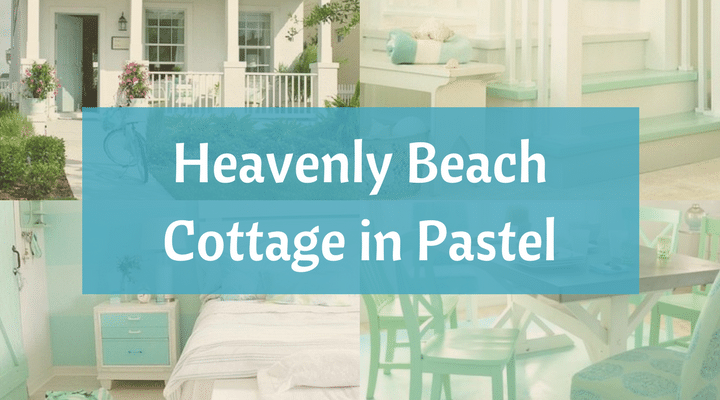 A beachy haven bathed in dreamy pastels! 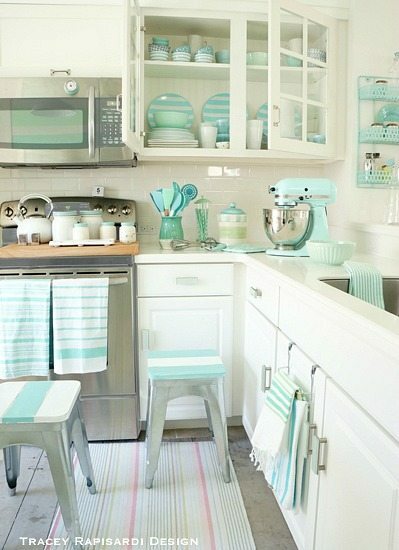 Soft blues, turquoise, aqua and crisp whites are layered for a look that is cheerful, bright and feminine. 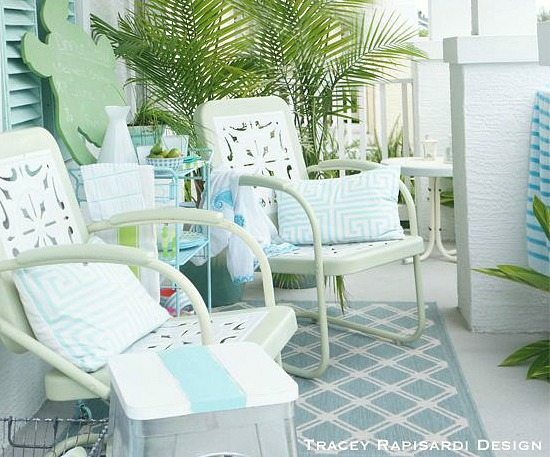 It’s been about to two years since interior designer Tracey Rapisardi relocated from Maine to Sarasota, Florida. 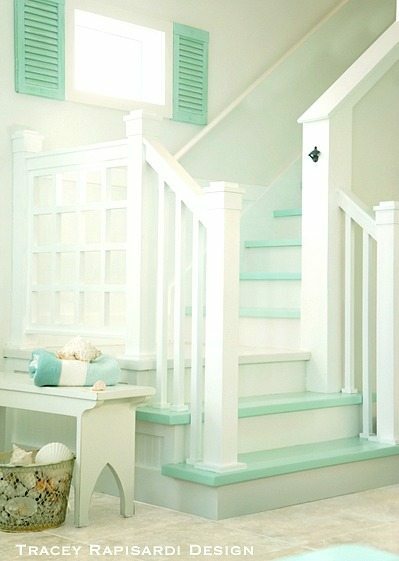 And I have been waiting for some new beach cottage projects of hers! 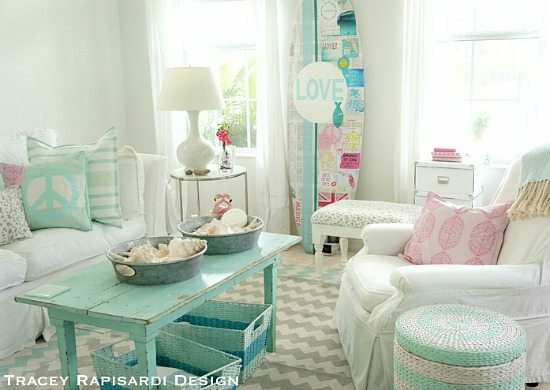 Tracey’s cheerful, airy and bright signature style seems to have become even more heavenly in this Beach Cottage, located in Sarasota. 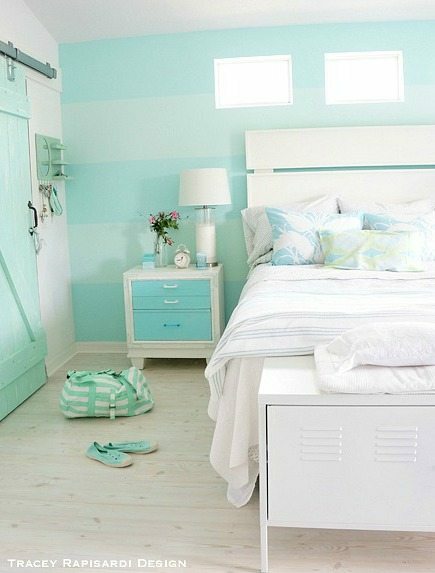 I don’t think one could ever be in a bad mood in this pastel beach cottage! I love all the simple cottage furnishings. From the wooden coffee table in the living room, to the bench by the stairway, to the chairs around the dining room table. 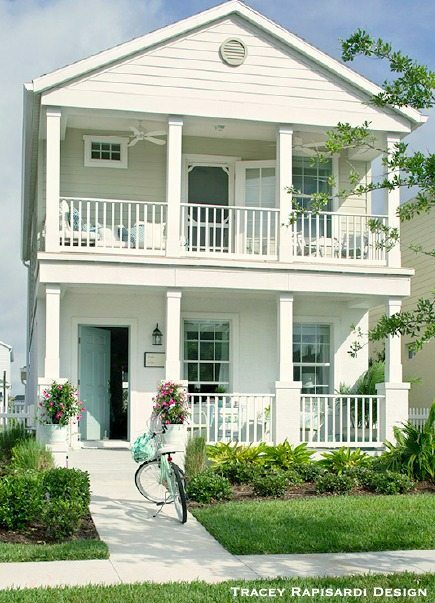 And I adore the Beach Cruiser in front of the home too! 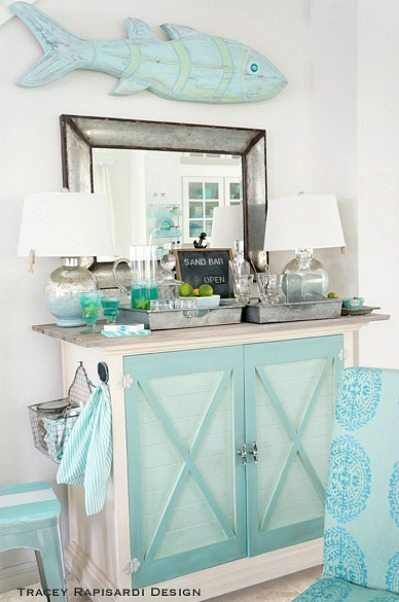 And in case you have missed it, take the tour of this Maine Beach Cottage, designed by Tracey. It’s got the same beachy vibe! The post also includes a peek into Tracey’s former cottage in Maine! I hope she will be sharing her Florida home soon! 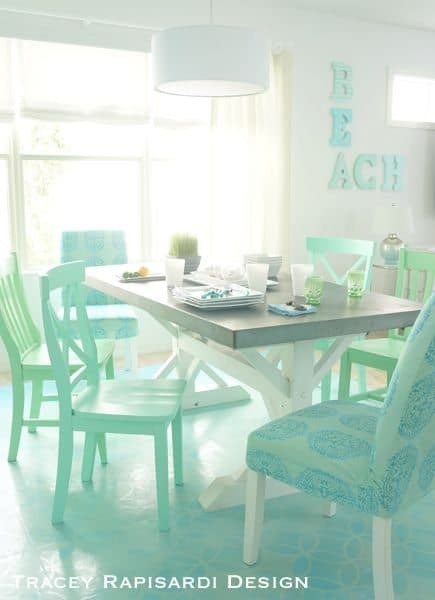 I love the kitchen table and chairs along with the bar stools. Can you tell me where I could purchase them?